Actor/Filmmaker/Comedian Jake Lloyd sits down with guests from the world of entertainment to discuss the human condition in this conversational podcast where transparency is key. 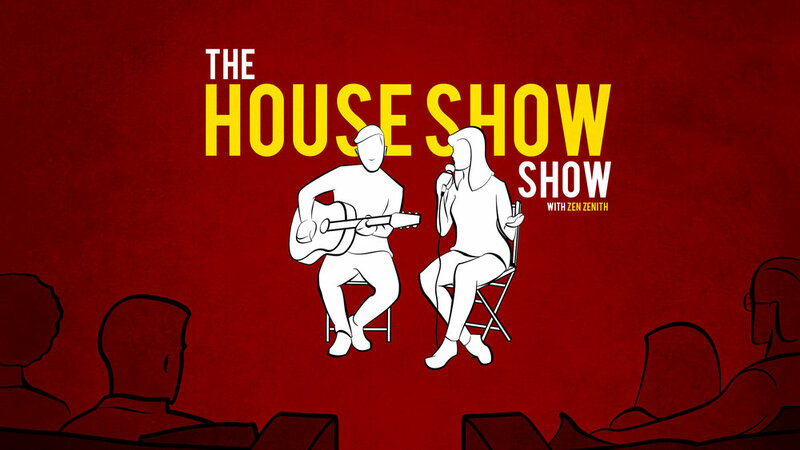 Live concert series and podcast hosted by musician Zen Zenith featuring music, conversations and Q&A's with guest singer songwriters. Jonny Loquasto, Dale Rutledge, Jay Washington, Scott Narver & Producer Jake Lloyd bring you a unique blend of pro-wrestling coverage accompanied by in-depth interviews with the industry's biggest names every week! The Podcasters of Dragon Wagon Radio venture into a mythical land in this actual-play RPG podcast. Taking on the roles of Half-Orcs, Dark Elves and more they fight their way through peril, drama and hilarity all controlled by DM Paul Bianchi and the chance rolls of dice! Actress & Comedian Krista Allen sits down with her comedian/celebrity guests to sift through intimate chapters from their lives inspired by a different facet of self-help each episode. Inspiration comes from anywhere from books, articles, instagram posts and more! You know that obscure movie that your best friend loves and talks about constantly despite the fact that you have never seen it? Well it's time to watch those movies! Film fanatics and industry professionals Mark Heiliger & Chad Peter do so every episode! Matt Kessler has Too Many Records… nearly two-thousand to be more specific. In this podcast extension of his popular YouTube show, Matt sits with guests to discuss a love of vinyl and a passion for music and pop culture of all types! He is a life-long wrestling nerd and she’s a brand new fan taking a crash course in WWE History by watching every single Royal Rumble match ever! Chelsea Christer and Zen Zenith dissect a new episode of the iconic Doctor Who television series and make a themed drink to go with every episode! Theatrical Actor/Writer/Director Steven Sabel of the Shakespeare Oxford Fellowship and his fellow Oxfordians set out to answer literary history's greatest mystery! Who WAS the writer behind the pen name "William Shakespeare?" Comedians Scott Narver, Marc Warzecha & Steven Sears lampoon every aspect of pro wrestling with no-limits scripted and improvised sketches and conversations. Brian, the armchair economist, sets out to fill his best friend Jake’s brain with as much of his knowledge as he can cram into it. A casual economics podcast for the rest of us! Latest from the Dragon's Den!